SALE! 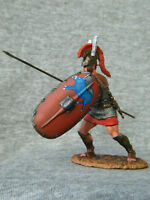 Elite tin soldiers St. Petersburg: Viking with a lion on the shield 54 mm. SALE! Elite tin soldiers St. Petersburg: Teutonic knight with sword on shoulde.